Today, Nusfjord is a tranquil fishing village in the Lofoten archipelago in northern Norway. 50 years ago, business was booming when the codfish would come for spawning. Nowadays, Nusfjord is more of a museum than a village with less than a hundred inhabitants remaining. Cruise ships, until recently, would pass by the mostly-abandoned beauty of the island; now, tourists are charged money just to look at the houses and landscape. But, travel back in time and Nusfjord is completely transformed. Sailing ships dominate the fjord, and the rocky beauty of the island is masked by vast forests. 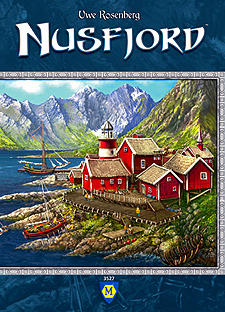 Visit the heyday of Nusfjord's maritime commerce and expansion, and success may be yours!